Yard and pine needle cleanup in Lake Arrowhead, Big Bear, Crestline"
PINE NEEDLES - Not only are they unsightly, they are dangerous... They burn like kindling and, if left to accumulate around your property, present an extreme fire hazard. Let us get rid of them for you! GENERAL CLEANUP - Whatever it is that's laying around your property, we'll clean it up and haul it away. Let us BEAUTIFY your property so that it's enjoyable! 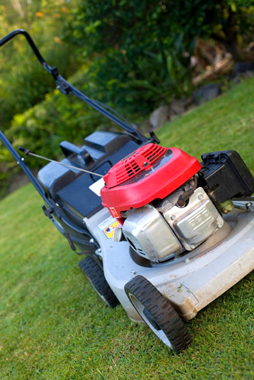 MAINTENANCE - Let VB Landscaping maintain your property. We'll come periodically and inspect it and remove any debris, haul as necessary, cut grass, trim, prune - whatever it takes to keep your property "ship-shape".